Learn how I make my champleve enamel jewelry! We will start with sheets of fine silver, saw out the design, and fuse the bases using an acetylene torch. 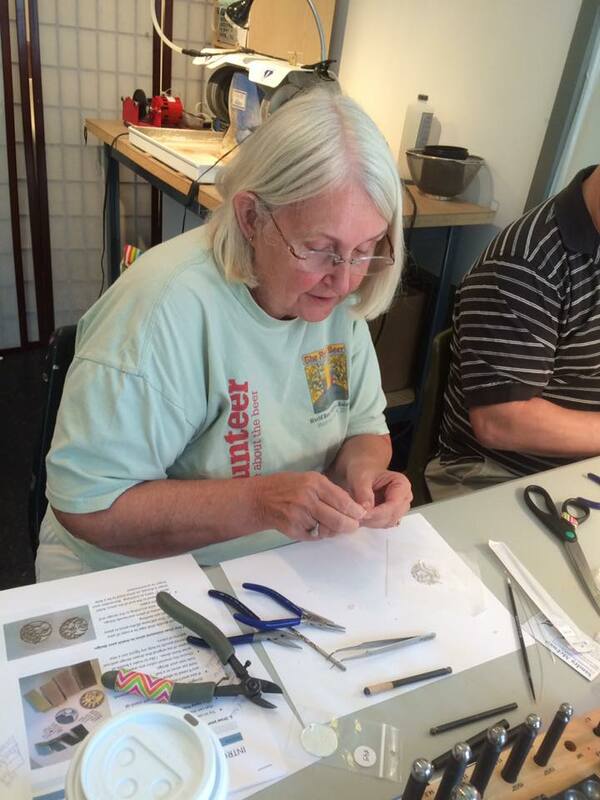 Then you will learn how to inlay the cloisonne enamels into the silver bases and create a beautiful champleve pendant! No prior experience is necessary, but if you've never done any jewelry making or enameling, I might recommend starting with the 2 day workshop. But it's all good! 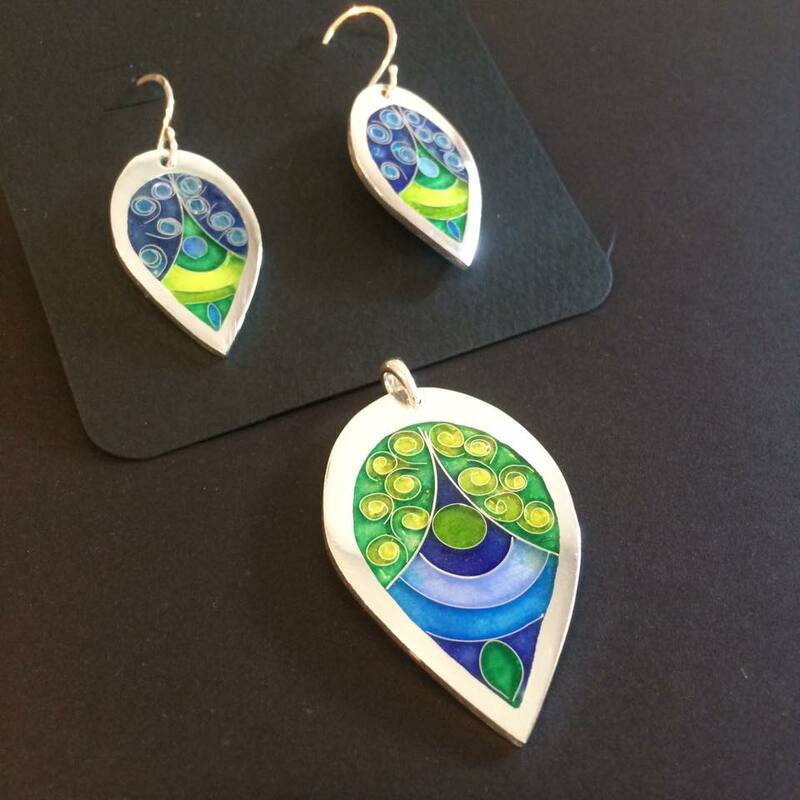 Tuition includes all materials needed to make a small enamel pendant and the use of any tools and equipment that you may need, although you are welcome to bring your own tools. I will have extra supplies available for purchase if you'd like to make more than one piece. Please contact me at sandra@sandramcewen.com, call 919 880-2910, or fill in the form below if you would like to participate in a workshop. Includes enough materials to make a small pendant and use of all my equipment and enamels. Time: 9am – 4pm each day. My studio is an easy walk to several great hotels! Click here for location and accommodation information. Students are encouraged to bring a drawing or other design they would like to make during the class. But it's not required! You are welcome to make one of my ready made designs I have prepared. One the first day, you will learn how to cut out your designs, and fuse them using an Acetylene torch. The second day will primarily be spent in bending silver wires to match your design and prepping the silver base with counter enamel. Ideally, we will also fire the wires in place. Yay! The best part is today- applying the enamel colors! We will wash the colors students have selected and learn how to apply them to the piece. I will show you some good shading techniques and other tips and tricks to getting the best results. After all the enamels have been applied, you will learn how to grind and polish your beautiful work of art so it will be ready to wear! Look at what you can do in just three days!